Sign up for a free download of Industry Insider Screenwriting Contest - Robert Mark Kamen Finalist Entries now! Download the finalist’s entries from the Industry Insider Screenwriting Contest - Robert Mark Kamen now! The Industry Insider Screenwriting Contest gives you the unique opportunity to turn this idea into a solid spec screenplay that could be your ticket to Hollywood success, just like this round's winner, Tyler Marceca with The Disciple Program. The Industry Insider Screenwriting Contest is an international competition that facilitates relationships between new writers and Industry leaders looking to help aspirants embark on writing careers, and Tyler's winning script garnered Industry recognition and attracted the attention of Agents, Managers, Executives and Bloggers. "I sat down to read The Disciple Program with the intention of giving Tyler notes. By the time I reached page 10, I had forgotten about the notes. By the time I reached page 50, I was wondering if it could sell. By the time I reached page 100, I was wondering how much it would sell for," states Carson Reeves (Scriptshadow). Carson continues by saying, "The Disciple Program was the best non-professional script I had ever read, period." Carson's buzz and press around his anticipated posted review of The Disciple Program on his blog caused a frenzy in the Industry as people clamored to be the first to get their hands on the script. The result? Tyler signed with William Morris Endeavor before he even flew to Los Angeles for his lunch with Robert Mark Kamen and meeting with Benderspink. After a whirlwind courtship with the biggest and brightest stars in Hollywood, Tyler became an overnight success when Mark Wahlberg was attached to star and produce and Morten Tyldum to direct. Shortly after, a bidding war began, with Universal Studios winning out in a mid six-figures deal. According to The Hollywood Reporter "the real story here is Marceca. An unsigned writer from Brooklyn, he wrote [fifteen] pages as part of a screenwriting contest run by The Writers Store." "No other contest offers what the Industry Insider Contest does -- a chance to develop your script alongside an industry professional. Some contests are about cash and prizes. The Industry Insider Contest is about advancing your career and developing material that can be successful in the marketplace. It's about opening up doors. Not only was my Story Specialist, Mario Moreno a consummate professional but an invaluable source of critical feedback. He brought tremendous energy and insight to each of our weekly sessions. You would think he was earning a ten-percent manager's cut. Mario (expletive) rocks." "After waking to find his wife dead in their backyard, a man conducts his own investigation, and uncovers the hidden life of a woman he thought he knew." Kudos go out to the talented finalists, who each received a copy of Movie Magic Screenwriter, the professional screenwriting software for film, TV, and plays, along with a congratulatory letter from Robert Mark Kamen. Want to complete your own screenplay in just 12 weeks or less? Sign up for sessions with The Writers Store’s Story Specialists now! Think you can turn this logline from Robert Mark Kamen, A-List Screenwriter of The Karate Kid, Taken and The Fifth Element into a killer script? After waking to find his wife dead in their backyard, a man conducts his own investigation, and uncovers the hidden life of a woman he thought he knew. First on the agenda? Lunch with screenwriter Robert Mark Kamen at Robertson Blvd.’s uber-popular bistro, known for its steady stream of celebs and location near power-agency ICM. The winner will take in some serious knowledge and know-how from Kamen, while filling up on the Ivy’s famous nouvelle American cuisine. Robert Mark Kamen is a screenwriter with twenty-one films to his credit. A native of the Bronx, he attended New York City public schools, and graduated from NYU with a degree in literature, later earning his Ph.D. in American Studies from the University of Pennsylvania. After spending a year in Afghanistan in 1971, Robert wrote a novel based on his experience. At the urging of a director friend, he turned the novel into a screenplay, bought by Warner Brothers in 1979. His second screenplay, TAPS, was released in 1980. This fall sees Robert’s twentieth feature, COLOMBIANA, released and his twenty-first film, TAKEN 2, begin production. For the past sixteen years, he has been a frequent collaborator with director/producer Luc Besson. 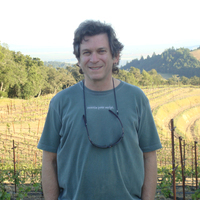 In addition to being a full-time screenwriter, Robert grows grapes and makes wine on the vineyard he built thirty-one years ago in Sonoma, California.